Out in the street, says Asef Bayat, a public sphere forms and politics happens apart from the elites and middle-classes who run the formal political apparatuses of the state. There’s a very interesting article in the latest issue of the journal City & Society by Asef Bayat. Entitled “Politics in the City-Inside-Out,” Bayat argues that the contemporary urban metropolises of neoliberal capitalism–he’s thinking of Cairo, Tehran, Istanbul and so forth–have a structural propensity to produce street politics. Bayat argues that in addition to the many other aspects of the contemporary “neoliberal” city described in recent sociological, anthropological and urban studies literatures, there’s an often overlooked feature of such cities: they are inside-out. I propose that a key spatial feature of the neoliberal city relates to double and dialectical processes of “inside-outing” and “enclosure.” In the first place, the neoliberal city is a “city-inside-out,” where a massive number of urban residents, the subaltern, become compelled to operate, subsist, or simply live on the public spaces—in the streets, in a substantial “out-doors economy.” Here public space becomes an indispensable asset, capital, for people to survive, operate and reproduce life. 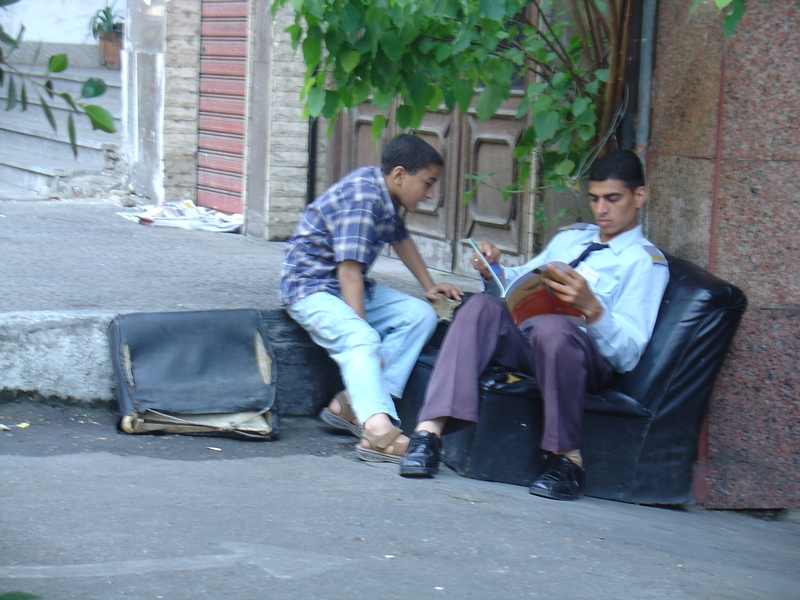 Strolling in the streets of Cairo, Tehran, or Amman in the midst of a working day, one cannot but notice the astonishing presence of so many people operating out-doors in the streets: working, running around, standing, sitting, negotiating, or driving. Classical liberalism saw market logics as pertaining to markets alone, but neoliberalism extends the market model into the political sphere, and into the realm of human social relations. Classical liberalism portrayed the market as natural and self-regulating, but neoliberalism attempts to use law and public policy to create the neoliberal utopia. The practical effects of the spread of neoliberalism as policy have been rapid, and geographically uneven redistributions of wealth and poverty, and increasing structural inequality. The gulf between wealthy elites and the masses has grown precipitously throughout the world, and while overall wealth has increased it has been at the cost of traditional social systems and extraordinary environmental degradation world wide. A Neoliberal City, then, is a city whose spatial organization, mode of governance and social structures are organized to a large extent by this neoliberal vision of a free market utopia. In the Neoliberal City, economic progress derives from individual entrepreneurialism operating in unregulated markets in land, labor and money. Government is increasingly modeled on business management and citizens are increasingly framed as consumers and clients. There are no pure neoliberal cities, of course. Neoliberalism as an ideology may be pure, but its actual implementation is messy, uneven and diffused by the historical structures in place. In Chapter Six of Connected in Cairo I describe some of the ways that privatization and liberalization of pre-existing socialist programs failed to actually occur in the ways advocates of neoliberalism would understand them (albeit while benefiting Mubarak and his cronies). Anyway the typical critique of the neoliberal city involves a city inhabited by a political and economic elite and its relatively affluent clients (those middle-class consumers who serve as the technocrats and workers required to maintain the lives of the elite) and a rising subaltern class trapped in poverty and excluded from political and civic life (and often spatially segregated into slums and shantytowns). A former colleague of mine at the American University in Cairo, Bayat was Academic Director of the International Institute for the Study of Islam in the Modern World (ISIM) and is now Professor of Sociology and Middle Eastern studies at University of Illinois at Urbana-Champaign. Bayat, Asef. 2012. Politics in the City-Inside-Out. City & Society. 24(2): 110–128.